Flying to Maui? 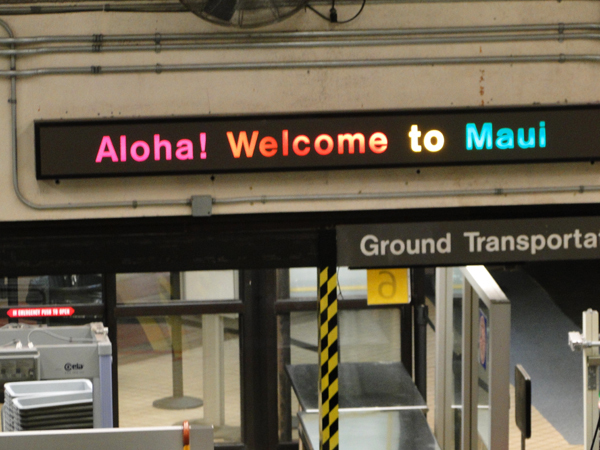 Travel Tips for Your Journey to "The Valley Isle"
Travel Tips for Your Journey to "The Valley Isle"
Based on my experiences with the loooong day of travel to Maui, here are some Maui travel tips to make the journey go a bit easier! It has taken us up to 17 hours and 3 airplanes to get to Maui. All this in an economy seat, which is not exactly known for high levels of comfort. Ugh. And, that's not including the fact that we have to be at the airport a few hours prior to departure for check in. Double ugh! That adds up to a long day of travel. So, with all of that, I've had to find some ways of making the journey to Maui as enjoyable and pleasant as possible. 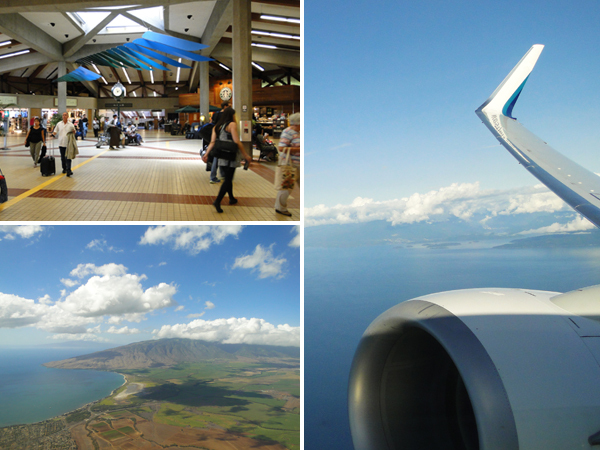 Here are some of my best Maui travel tips to improve your travel experience. 1) Food is NOT to be neglected! First and foremost, if you'll be flying during mealtime, find out if your airline provides meals during the flight. We all need to eat, right? I mean honestly, do you really want to find yourself starving for lunch at 20,000 feet, only to find out that the airline only has peanuts to offer you? But seriously, you wouldn't want to be starving hungry half-way through your flight. Many airlines no longer provide in-flight meals en-route to Maui - so follow this Maui travel tip and pack some good eats in your carry-on! I know, I know... the passenger cabin of the airplane is climate-controlled. BUT, it can sometimes get a little cool in there, and you'll be glad to have a jacket if it does. Also, the jacket will double as blanket of sorts if you feel the need for a nap... or, you can roll up your jacket and use it as make-shift pillow. Seriously - this works! Need another reason to follow this Maui travel tip? 3) If you're flying overnight, try to get some zzzzz's! I've never been able to fall asleep on the plane though... consequently, I've been known to nap on a bench at the Vancouver airport during stopovers while my husband keeps watch on our luggage. But hey, whatever works, right? And, do you know what I discovered on our last trip to Maui? This is pure genius, and for me, the highlight of Maui travel tip #3! So say you have a lengthly stopover at some random airport en route to Maui - if you're tired and want to sleep, you may be able to rent a bed for a few hours. Some airports have rooms with beds or sleeping pods that you can book (fees apply) for a few hours to catch some sleep. (And no, I don't mean those hotels attached to the airports.) You can lock yourself in there with your luggage to nap for a bit, with no fear of anyone walking off with your stuff! 4) Bring something to entertain yourself on the plane. This can be a book, handheld video games, your mp3 player or whatever. But DO bring something to help pass the time. This is especially important if you have many long hours of travel to Maui ahead of you like I do. You know you've made it when you see this! 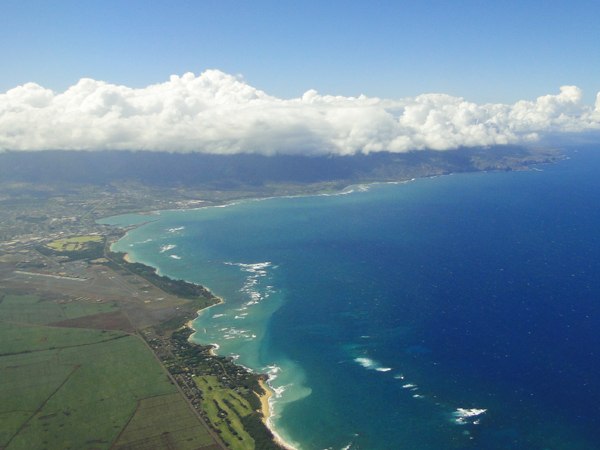 Kahului airport is pretty small, and there isn't much in terms of amenities waiting for you after you land. There's a Starbucks at the baggage claim area where you can buy coffee beverages, assorted non-alcoholic drinks, pastries, and a few desserts - but that's it as far as food and drink goes. The car rental companies at the airport all have shuttles that will whisk you away to their offices. When you exit the baggage claim area, head to your right until you see men's and women's restrooms - if you're facing the restrooms and look to your left, you'll see signs marking the shuttle stops for the various rental companies. It's not a long walk, only a couple of minutes or so. 2) Taking the Kids to Maui? Travel Tips to Keep 'em Happy on the Plane!